Over fourteen years, the virus that is now known as HIV went from being an unidentified yet frightening and deadly disease to a chronic condition that could be managed by taking antiretroviral medication. Narrators’ personal memories and private reflections guide us towards a deeper understanding of the epidemic that is only accessible through the voices of those who lived through this period. They reveal how HIV-positive gay men navigated issues around disclosure, divisions within the gay community, monitoring physical symptoms of HIV and AIDS-related conditions and the severe side effects of medication, and losing countless friends while considering they may face the same untimely and prolonged deaths that they had witnessed others endure. This book engaged with these men’s subjective accounts to complicate existing histories that predominantly focus on HIV and AIDS activism. 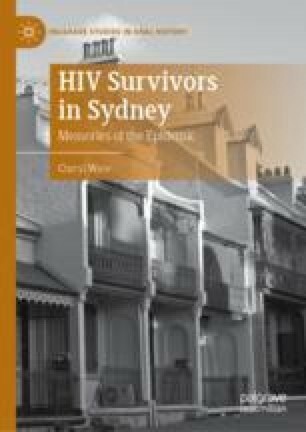 Ware concludes by demonstrating how these testimonies reveal both the impact of HIV and AIDS on these men’s intimate lives and how narrators make sense of their experiences nearly three decades later.